My stomach would be in knots as I would tell them I would do my best but most likely it was going to be slim pickins. We only think about Spring Break in Ohio when we’re freezing cold and sick of scraping ice off of the windshield. However, to get the best deal and the best hope for availability, start NOW. In May. You don’t have to plan the entire trip. You don’t even have to book the airfare today. Just sit down with your spouse or family and start the discussion. Think about a place you’d like to mark off of the Bucket List or somewhere that would offer a nice respite from the cold weather. 1. 1/3 of all people in the Midwest and NE will think Florida, so if that is your thought, set up a flight alert on Kayak and start watching airfares over the next couple of months. Book when it’s in the price that makes you happy. 2. Don’t forget that Southwest airlines is now flying to Cancun and the Dominican Republic. 3. You may save some dough by choosing an un-tropical locale. Santa Fe, London, or Seattle on your list? — It may not be warm and sunny, but it will afford you the getaway you would like. There’s always an indoor pool, right? 4. I know we like to do the work ourselves, but check with a travel agent! Some of the vendors they use will provide price-matching with the web fares. 5. Vacation rentals are usually a better value at beach resorts than a hotel- for many reasons. Here’s a blog I wrote about rental properties. I just booked on Airbnb yesterday and got a 4-bedroom house for the price of about 2 hotel rooms! Have you ever waited too long to book a getaway? Maybe you saved some Benjamins by booking early? 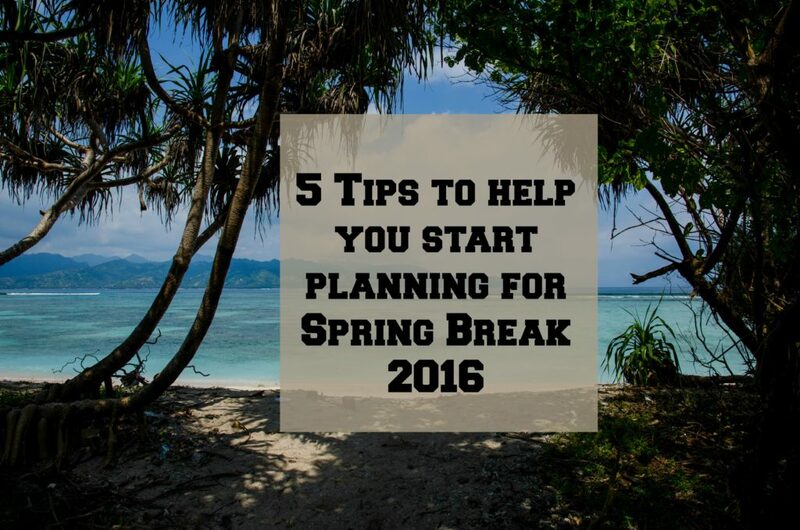 I’d love to hear your feedback or your top tip for saving money on Spring Break! Thanks for stopping by on this Memorial Day. I’m thankful for all of those who gave the ultimate price. Hey Christians, do you really value life?